Jeremy was brought up on the philosophy of natural medicine. His father, a GP, practised homeopathy and acupuncture within general practice and was very keen on making natural therapies available to all. Jeremy’s interest in natural therapies, not suprisingly developed. His first introduction to Chiropractic was after an outward-bound holiday when he sustained a hip injury and manipulation helped to settle the problem quickly. When he was 17 he was recommended to take Alexander Technique lessons to prevent any back problems occurring in later life. He has continued to have Alexander lessons ever since, finding it invaluable to continually improve his posture and movements. His experiences inspired him to train as a Chiropractor. In 1988 he qualified from the AECC in Bournemouth. He practised as a chiropractor in Norfolk for a year before returning to London. In 1993, whilst continuing to work part-time as a Chiropractor, he began a three year training course as an Alexander Technique teacher at the Alexander re-education centre, Aylesbury. 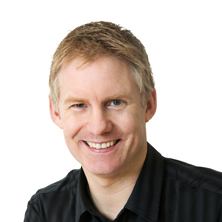 He qualified as an Alexander Technique teacher in 1996 and became the first dually qualified Chiropractor and Alexander Technique teacher in England. He set up the Healthcare Chiropractic Clinics in North Watford and Hayes offering a variety of holistic therapies. Jeremy’s dual expertise affords him a greater understanding of how best to treat injuries and prevent them reoccurring. He teaches his patients how to look after their spines in the most effective way. Jeremy is passionate about making good health and well-being a reality for all. He believes in practicing what he preaches; he cycles to his Watford clinic up to three times a week, plays tennis, jogs and goes swimming on a regular basis. Jeremy makes every effort to ensure clients are treated as soon as possible. Please call for an appointment. and movement, my headaches have now vastly reduced in frequency and continue to decrease further. Wish I'd had treatment years ago!. Very professional, lovely manner, would recommend..